Arduino, best known for creating an easy-to-use microcontroller revolution, is moving into 3D printing. In early October at Maker Faire Rome, the Turin, Italy-based company debuted a boxy, white-and-teal FFF printer called the Materia 101. The machine is based on the Sharebot Kiwi 3D, a diminutive printer made by the largest Italian 3D printer manufacturer. 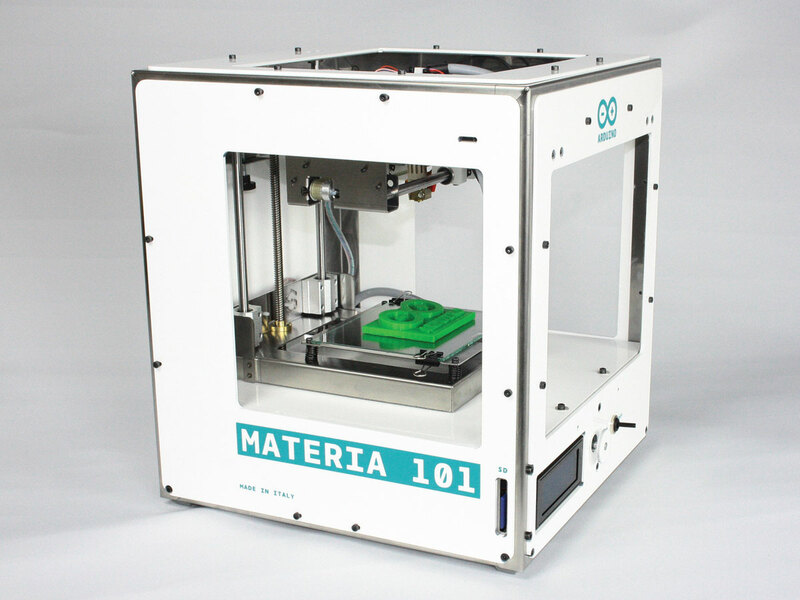 Sharebot will assemble the Materia 101 printers for Arduino. The Materia 101’s features are simple — its print dimensions measure 140mm×100mm×100mm (roughly 5 1/2″×4″×4″). The unheated bed only supports PLA plastics; the extruder takes standard 1.75mm filament. The front of the housing contains an LCD, push-button scroll wheel, and — oddly — a large power switch that prominently protrudes from the case. An SD card slot on the left side of the machine offers untethered printing. The printer also comes with a separate, matching filament spool holder. Arduino doesn’t see its printer as the end product, however. Available in kit form for around $800 or preassembled for about $1,000, the Materia 101 is a fully open-source endeavor that can be modified to meet your needs — something Arduino actively promotes. Want a larger print area? Desire a heated print bed? Need to access the printer’s Arduino Mega capabilities for a separate project? The schematics and information are all available to help you do this. This machine is the biggest piece of hardware that Arduino has launched to date. It’s an interesting move for the company, but not an entirely disconnected element, as many of the printer developments in the 3D community have used Arduino boards for control. 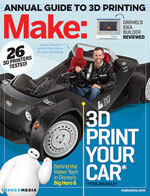 Moreover, it’s a further indication of how bigger companies are starting to embrace and release consumer 3D printers. We look forward to playing with this machine as soon as it’s available.